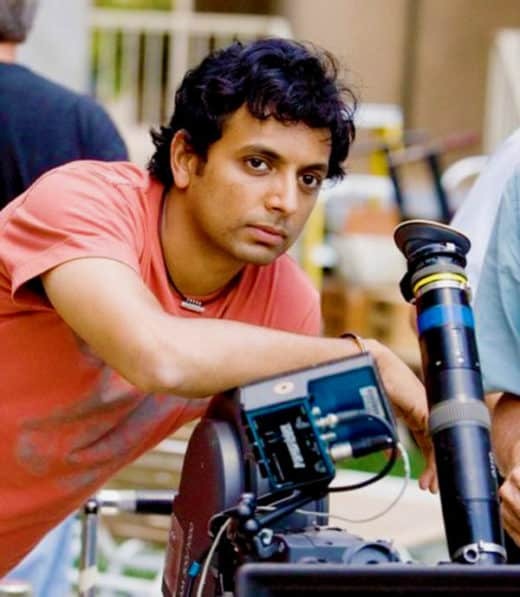 The perception of M. Night Shyamalan within the American filmmaking zeitgeist was that his best days were behind him. And, until recently, there had been no proof to the contrary. For some critics, his last great movie was The Village in 2004, but even that was not a consensus. In its wake came a string of less than memorable films. Shyamalan showed signs of resurgence when he wrote and produced Devil (2010), which was an underrated gem. Then he came out with After Earth in 2013. This movie did the unthinkable as it dethroned The Last Air Bender as Shyamalan’s worst movie. This did not give the viewing public much of a reason to give The Visit (2015) a chance. Many groaned at the mere sight of Shyamalan’s name after watching the trailer. Despite its flaws, the Visit gave moviegoers a reason to believe that maybe Shyamalan has returned to his old ways. After watching Split, I can safely say Shyamalan is back, baby! This movie was everything I expected it to be, and so much more. 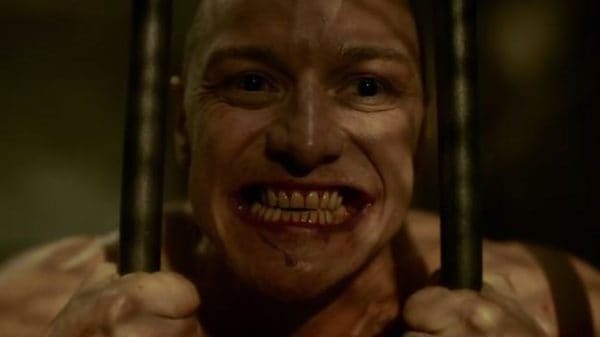 The movie revolves around Kevin Wendell Crumb (James McAvoy); a disturbed man suffering from dissociative identity disorder (D.I.D.) it is also known as multiple personality disorder. Kevin was diagnosed with 23, possibly 24, distinct personalities. At the beginning of the film, he kidnaps three high school girls. Claire (Haley Lu Richardson) and Marcia (Jessica Sula) are your stereotypical, popular girls. Casey (Anya Taylor-Joy), on the other hand, is the polar opposite. She is a moody teenager with a troubled past, and yet she is also the most level-headed. They quickly learn of Kevin’s many personalities. “Hedwig,” Kevin’s nine year old personality, reveals that the girls will be sacrificed to “The Beast.” Meanwhile, Kevin’s therapist Dr. Fletcher (Betty Buckley) receives emails from another of his personalities asking to meet. She senses something is wrong, but she cannot put her finger on it. Shyamalan did a great job of establishing each piece of the story. The back and forth between the kidnapped girls, Casey’s past, and Dr. Fletcher was highly enjoyable. Each served a distinct purpose. The scenes with Dr. Fletcher helped the audience gain insight into Kevin’s personalities. It established the intricacies of the personalities and established what The Beast is capable of. The scenes of the girls and Kevin’s interactions showed how different each of his personalities were. Lastly, Casey’s flashbacks depicted why she was the way she was. It, unwittingly, became a significant part of the plot. On the surface, the movie seemed scattered. In reality though, there was a method to the madness. Shyamalan was simply laying the ground work for the explosive third act. McAvoy gave the performance of a lifetime in Split. He had always been a good actor, but never a top act. This critic’s opinion has forever been changed. McAvoy’s transitions between his 8 to 10 different characters were seamless. It was the minor details that really sold the performance. Playing Dennis, he showed the anxiety of Obsessive Compulsive Disorder, or OCD, by the exasperation in his body language. Playing Hedwig, McAvoy became a playful child. While as Barry, McAvoy became an eccentric fashion designer. Then, as Patricia, he became a stern, mature woman. At times, while the camera was on his face, he switched between characters on the fly. It was honestly one of the most spectacular performances that you will see this year. Anya also gave a great performance as she played very well off of McAvoy. Her facial expressions were priceless. Especially when Anya first realized that McAvoy had D.I.D. She just had this look of innocence and understanding. On the other hand, Haley Lu’s performance left a lot to be desired as it felt forced. Not only was her character development forced, but she did not act particularly well either. As we all know, in every Shyamalan movie there is a twist; it has become his calling card. The twist in Split was honestly his best since the big reveal in The Sixth Sense. The climax of the film got very strange, but not necessarily in a bad way. While watching it, I was caught off guard with where Shyamalan was taking the film as the tone of it just seemed out-of-place. And McAvoy, the saving grace, went to a whole new level. The moving parts were enjoyable, if not unexpected. Then, Shyamalan did something truly brilliant. The magnitude of the true twist cannot be understated. When the credits hit, many were dumbfounded because of the endless possibilities. “Did Shyamalan just do what I think he did?” Shyamalan had changed the context of the entire film. It appeared as if it came from out of nowhere, but after watching the movie a second time, the hints were there, the viewer just had to know to look for them. 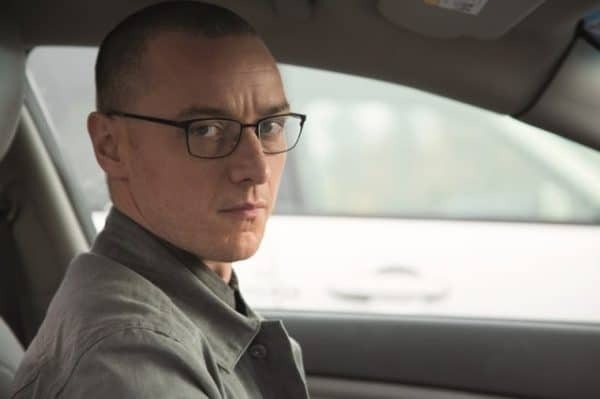 Overall Thoughts: 9 Out of 10 Split was not a perfect a movie. It ran a little long, and the depiction of D.I.D. could be problematic for some. The girls might not have been the strongest characters, but this was the kind of movie that Shyamalan fans had been wanting for a decade. 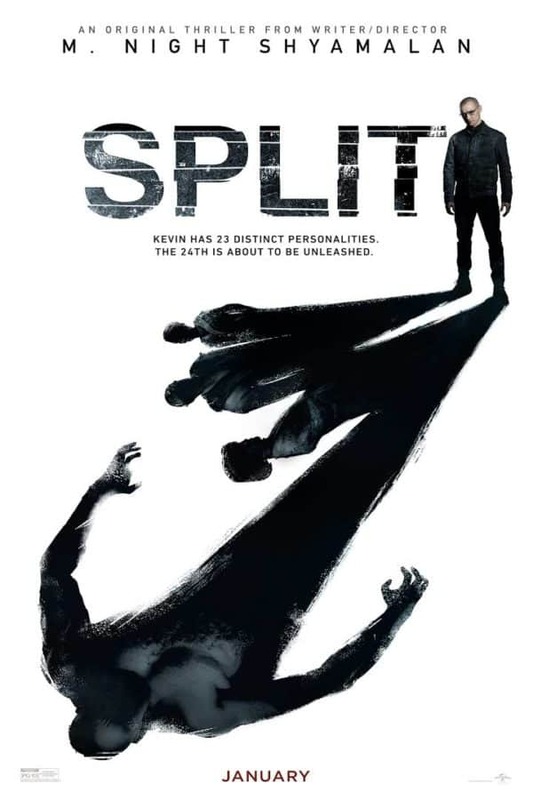 As a matter of fact, Split is likely one of his top three films. I cannot wait to see what Shyamalan has in store for us next.